Young children will encourages to solve this puzzle game, playing simple memory game and mix the puzzle to make their own creation vehicles with the puzzle pieces. 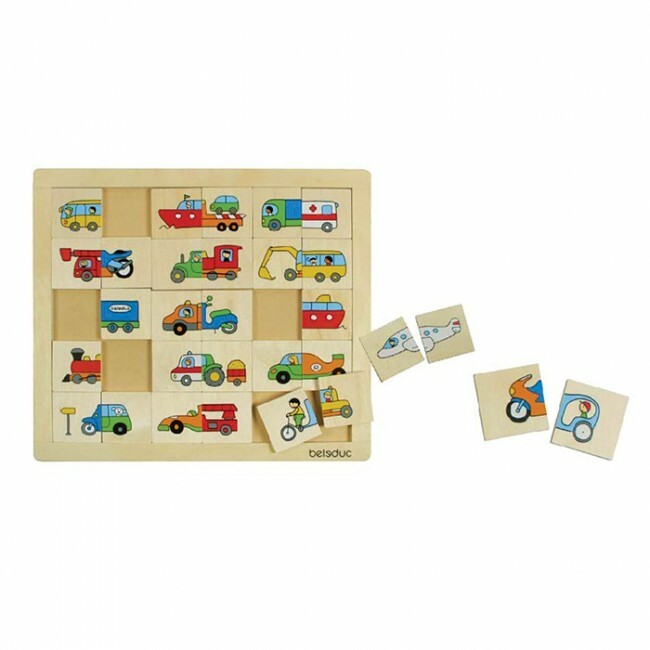 Match and Mix Transport Puzzle is beatifully designed for young children and made from solid wood construction with child safely paint finishing. This puzzle set offers variants way to playing. Children can complete the puzzle, create own unique vehicles and playing memory game. 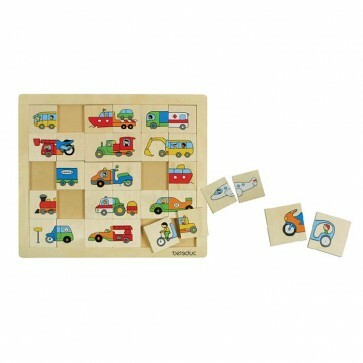 - Encourages children memory skills, creativity, problem solving and vehicles identification.